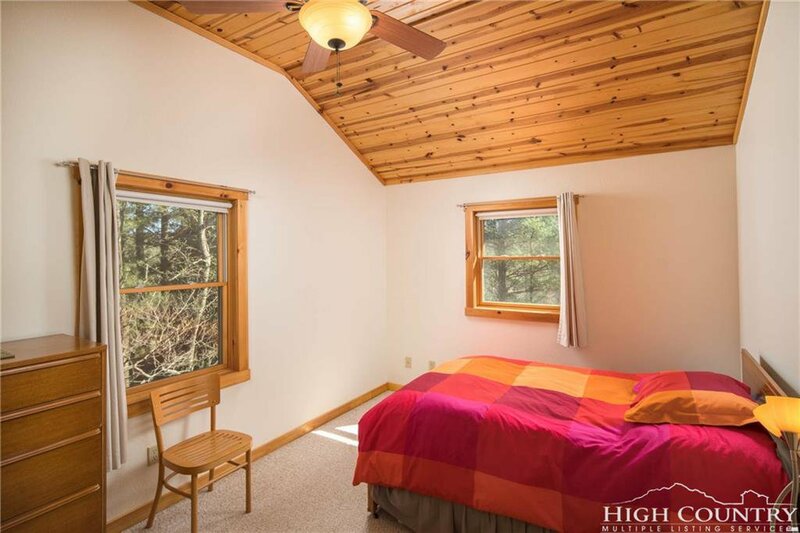 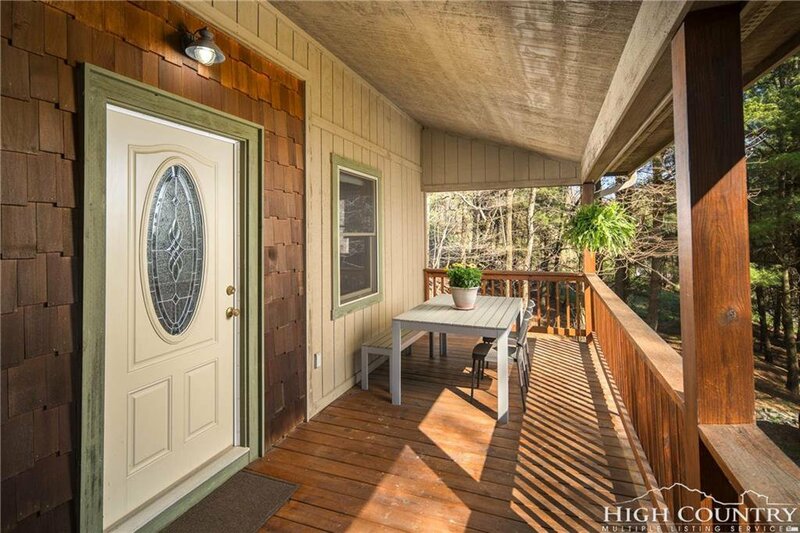 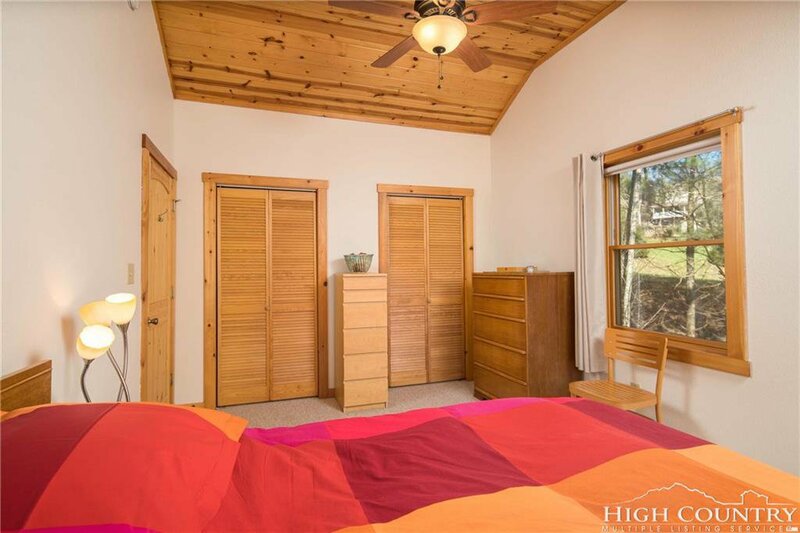 This offering provides versatility to continue as a full-time dwelling or make a seasonal mountain retreat. 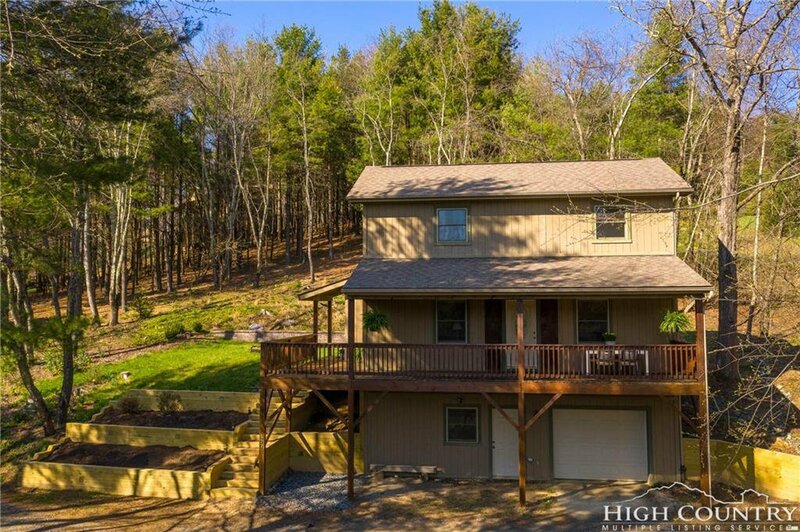 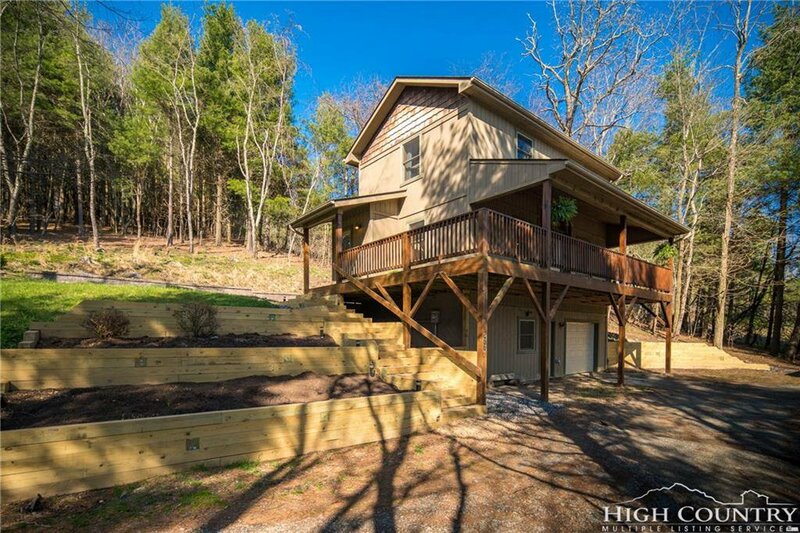 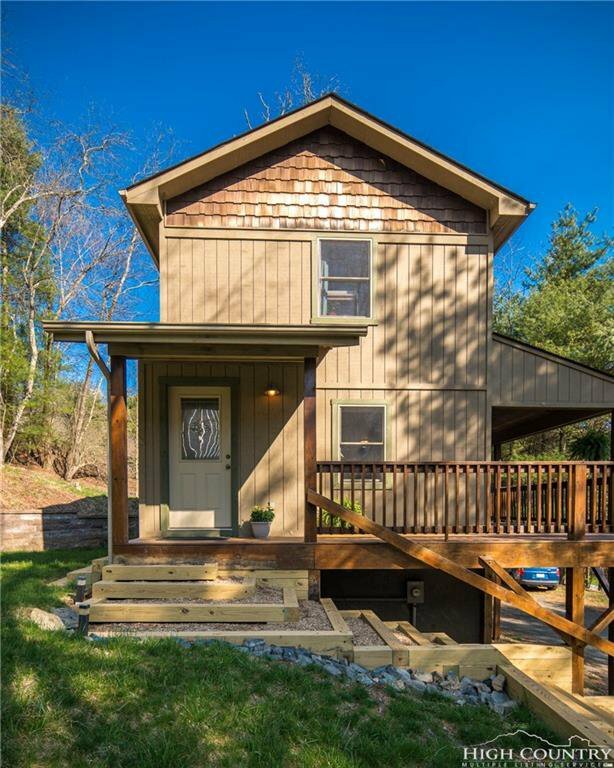 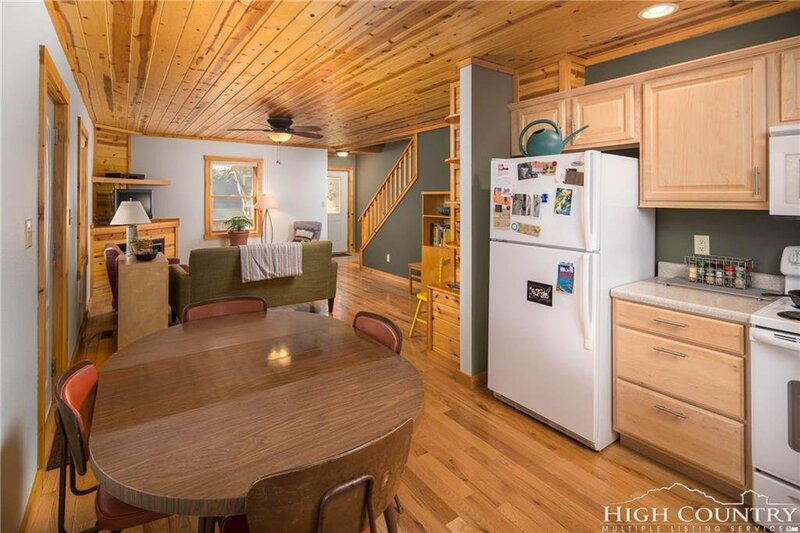 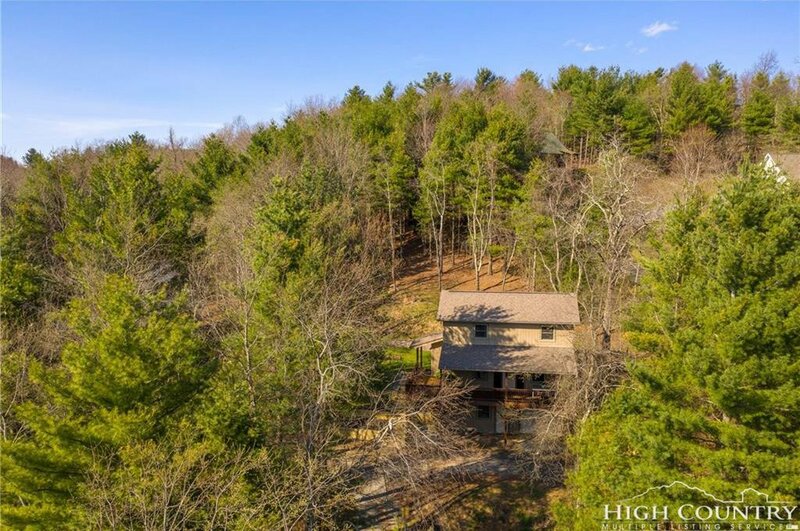 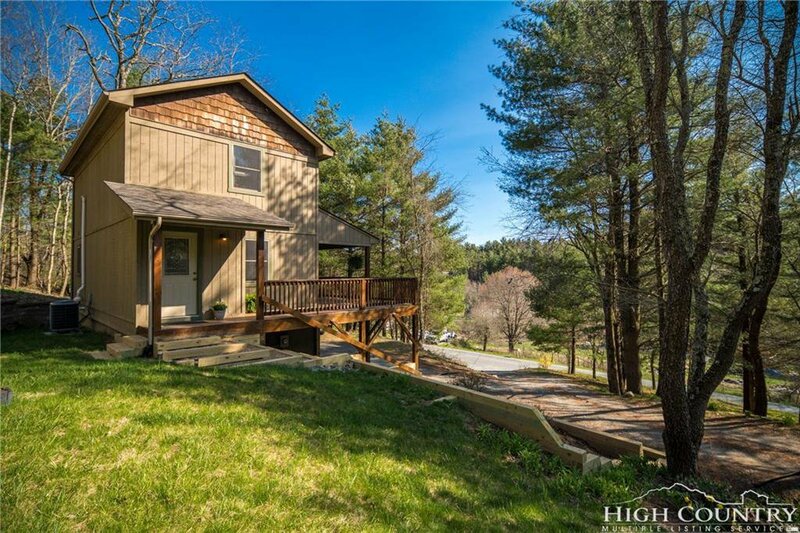 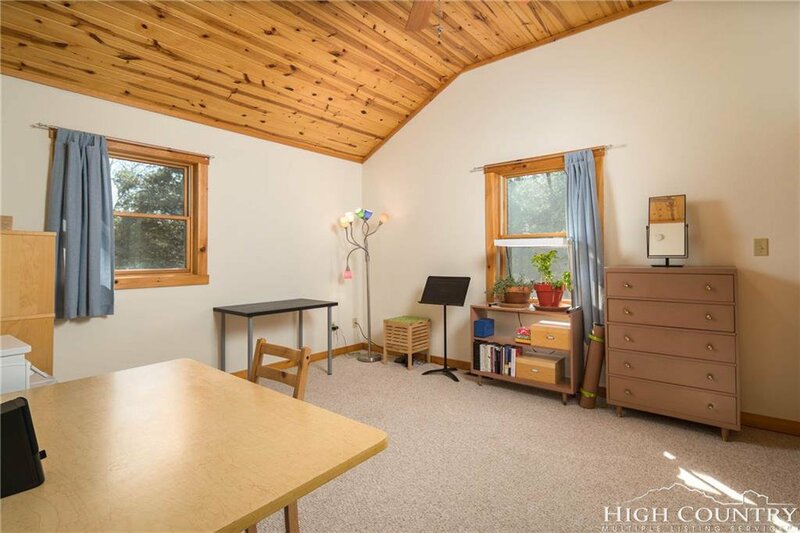 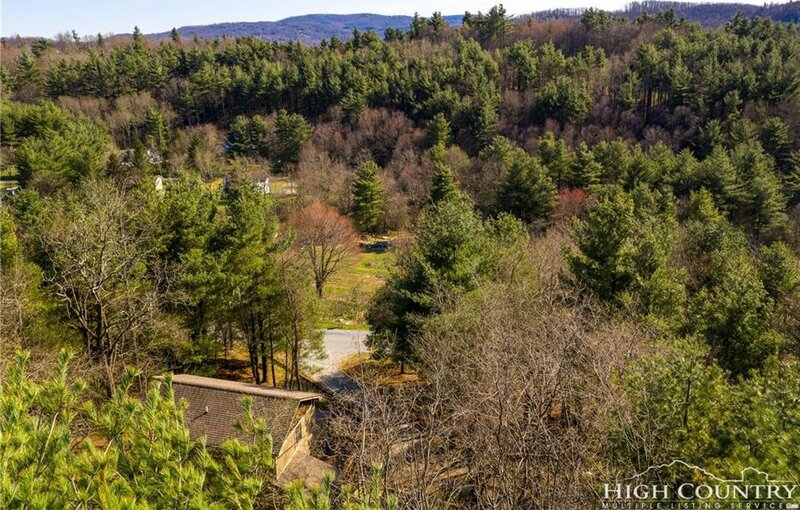 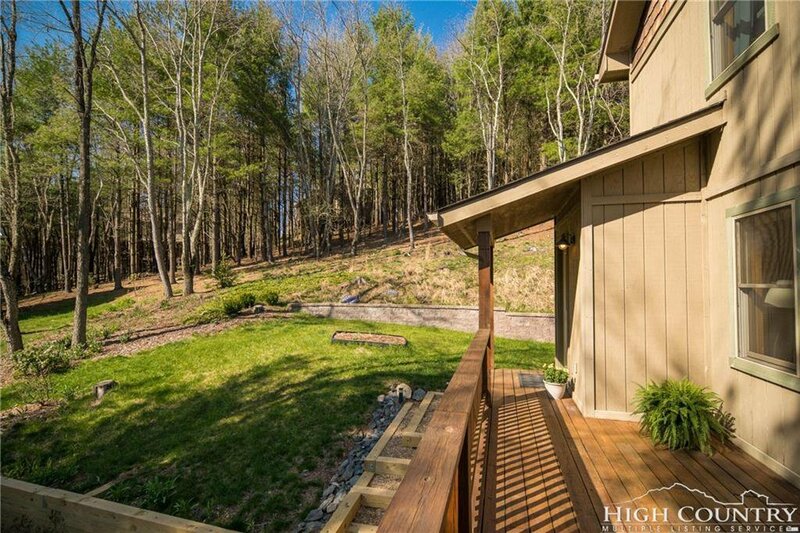 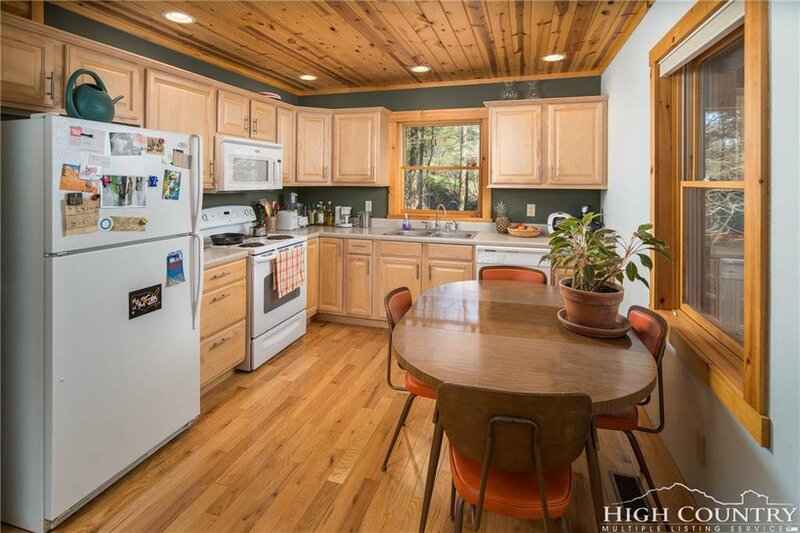 Tucked away in a wooded area yet not entirely isolated, this 2 bedroom home built in 2007 is still just a short drive from Boone. 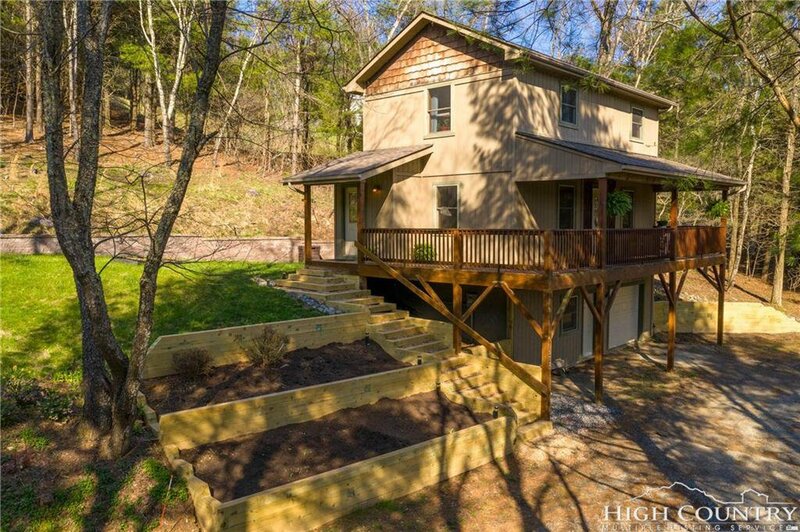 Cultivate your own flowers or herbs in conveniently terraced garden beds. 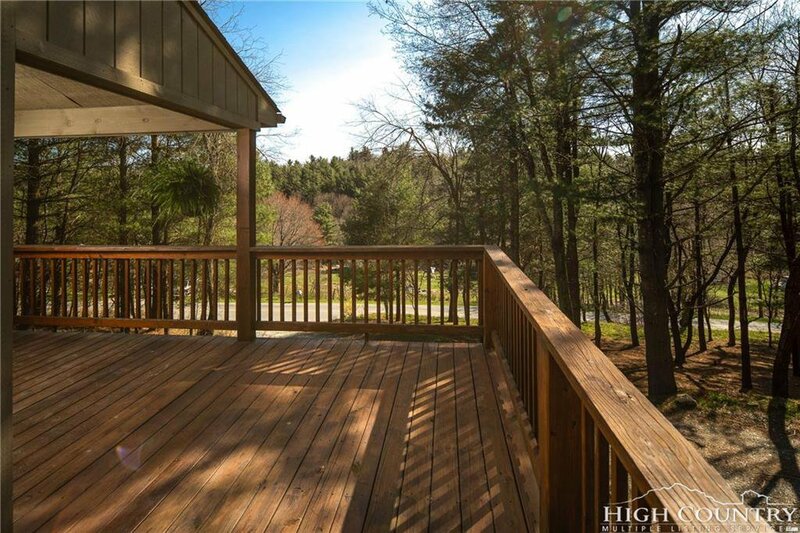 New steps outdoors lead up to a welcoming half-wrap deck perfect both for a peaceful afternoon resting in a rocking chair or for entertaining guests. 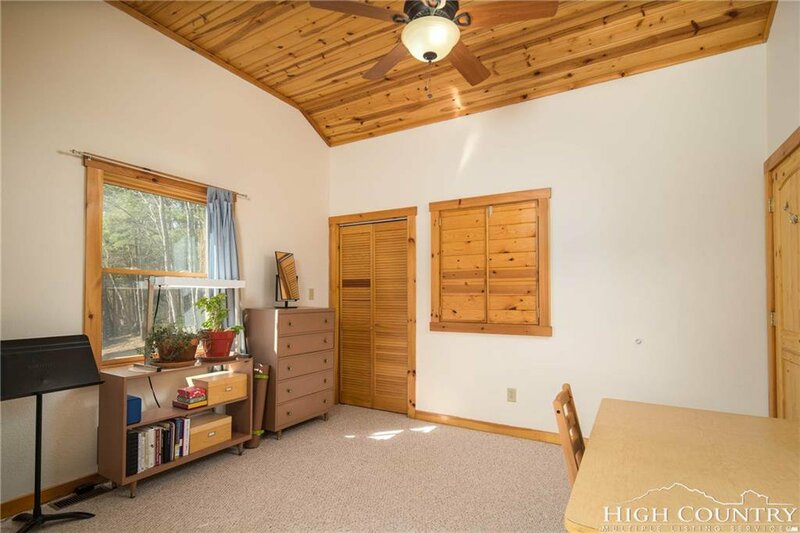 Pretty wood floors and tongue and groove knotty pine ceilings complement the living and dining space. 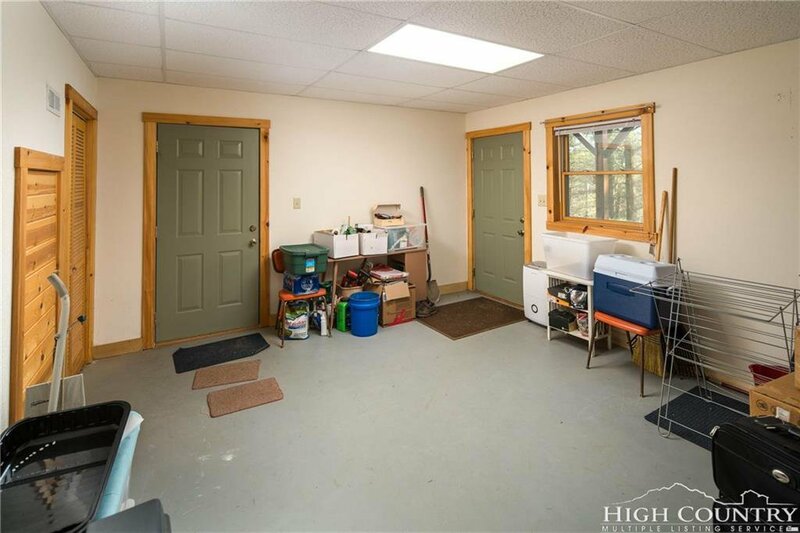 Gas logs, fireplace surround and connections are there but not connected to propane. 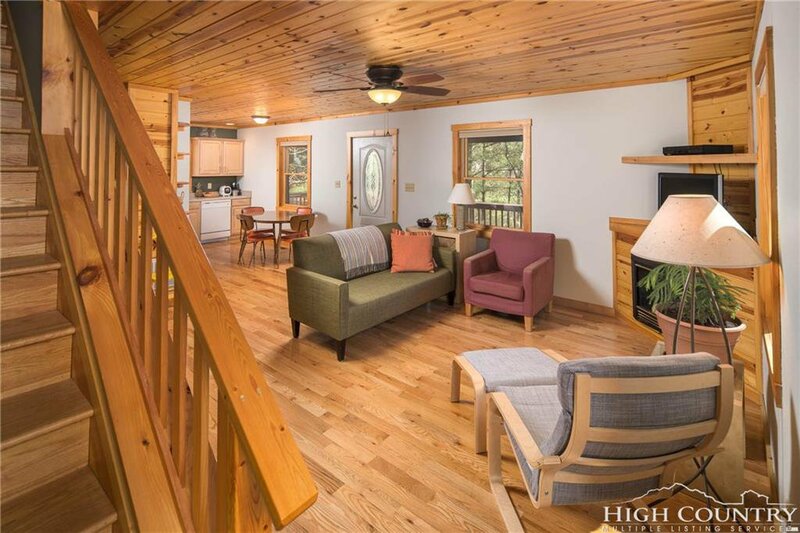 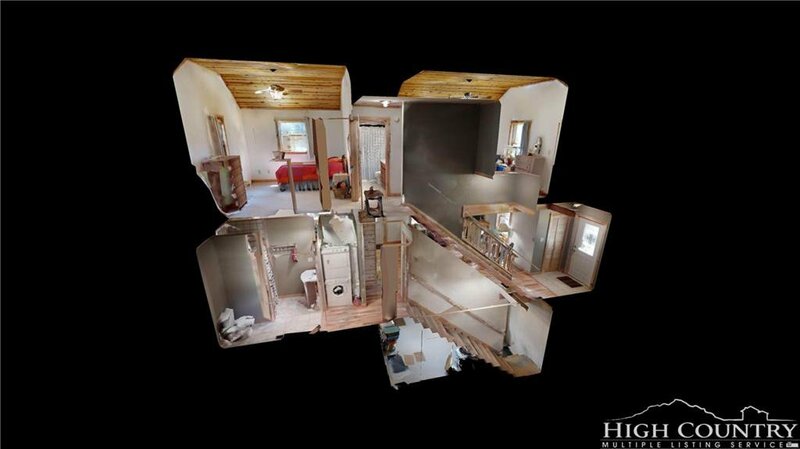 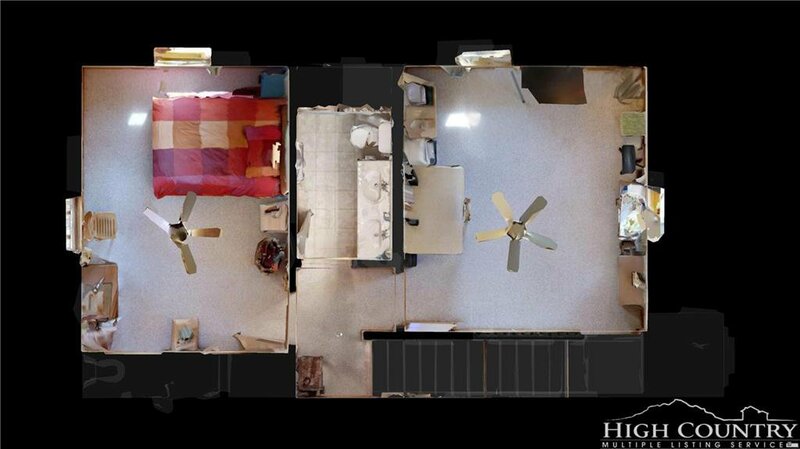 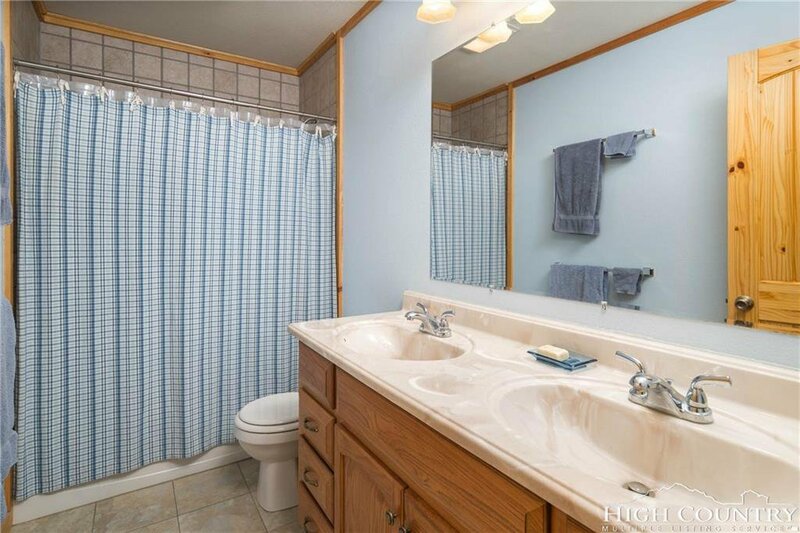 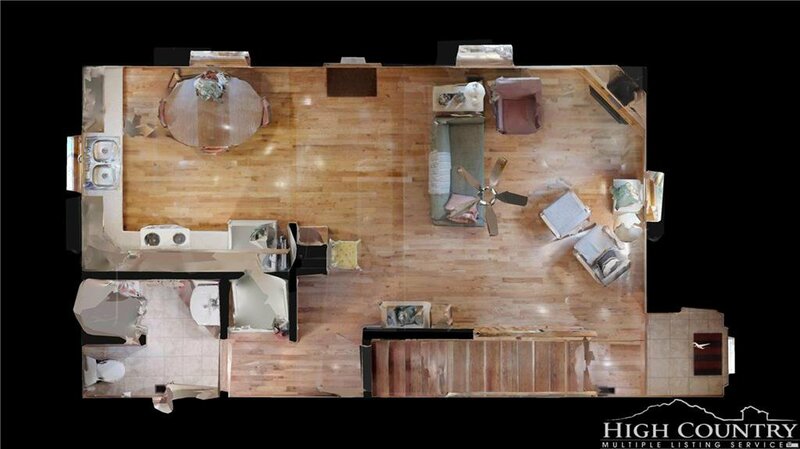 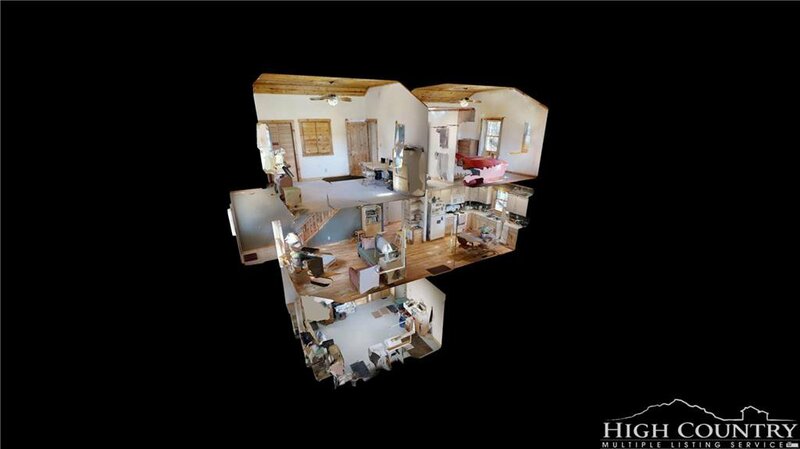 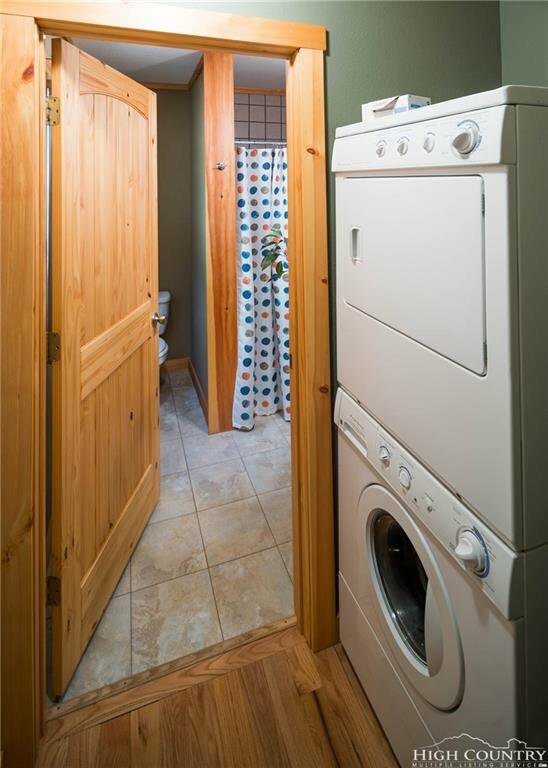 Good-sized bedrooms and a large bath lie on the upper level with second bath and laundry on the main floor. 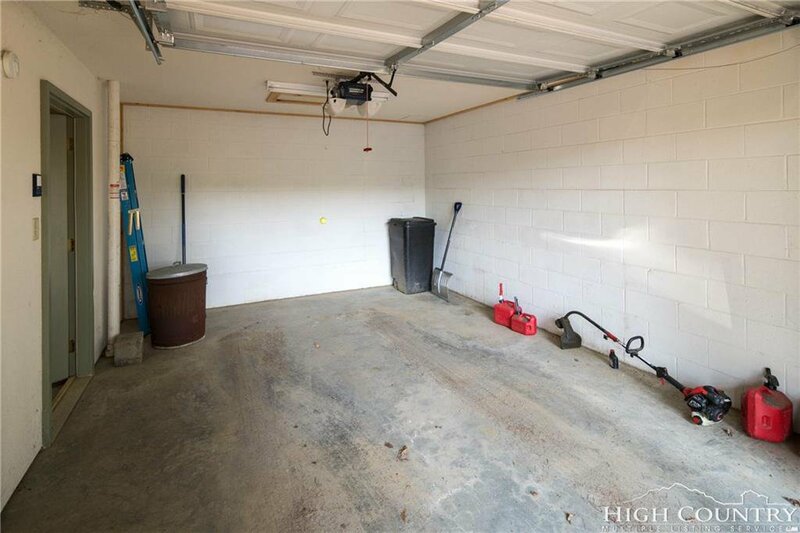 Downstairs provides additional usable space with an attached one car garage. 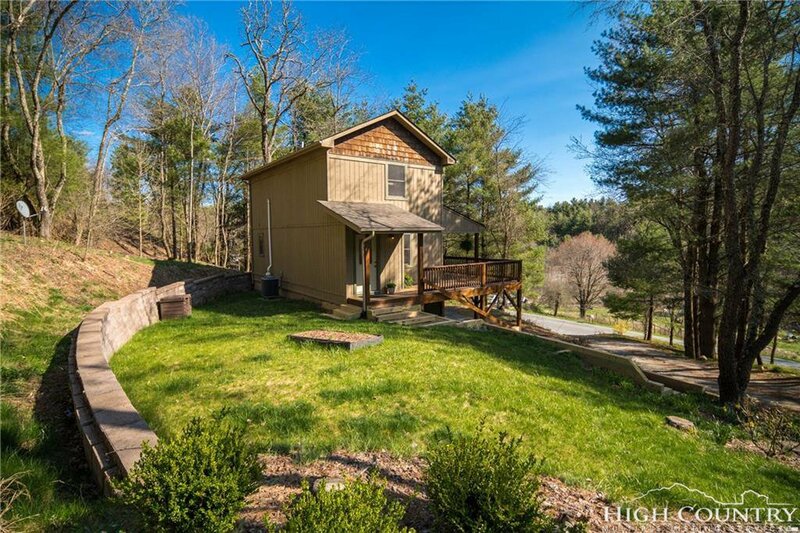 The lovely, quiet grounds and well built home create a valued retreat—peace and rest in any mountain season.